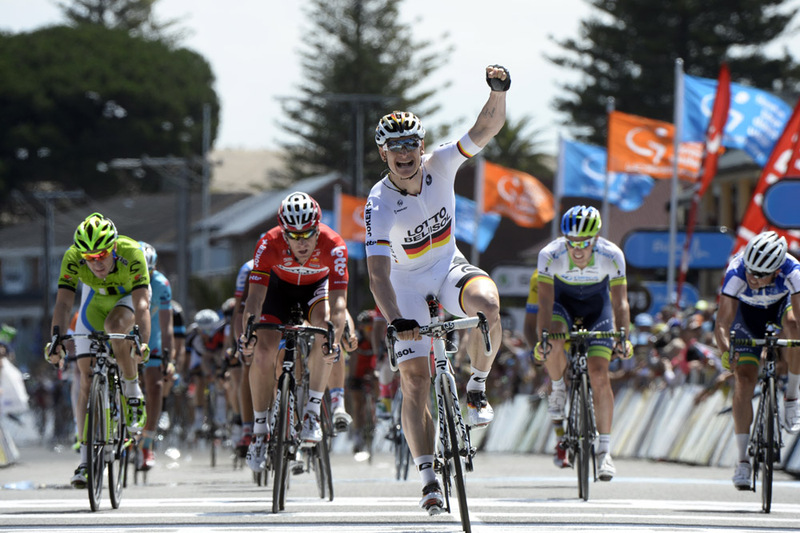 Andre Greipel today won the fourth stage of the Tour Down Under in which Simon Gerrans almost halved his overall deficit to Cadel Evans. Evans’s 12 second advantage was reduced to seven at the conclusion of the lumpy run to Victor Habor where Greipel beat Lotto Belisol teammate Jurgen Roelandts and Cannondale’s Elia Viviani for his first win of 2014. “We finished first and second and this says enough that it was a real team effort,” said Greipel. Marcel Kittel (Giant-Shimano) was not part of the reduced peloton that contested the finish. 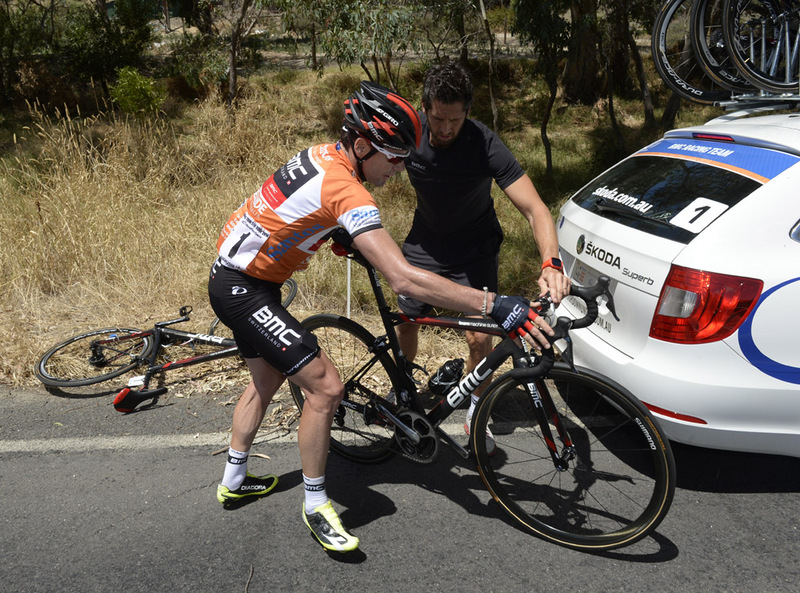 The German was caught in a split on the sole categorised KOM some 52km from the finish. “Maybe the position was not good but in the end … I think it would be a big surprise if I was there with my shape, now, in January,” the 25 year old said. Orica-GreenEdge took full advantage of time bonuses available at intermediate sprints to better position Gerrans in the overall standing’s ahead of tomorrow’s queen stage to Willunga Hill. Gerrans won the first intermediate and his team reeled in the main break of Cameron Wurf (Cannondale) and Axel Domont (AG2R La Mondiale) before the second where he crossed the line behind Nathan Haas (Garmin-Sharp). The team inflicted more damage in the nervous and windy conditions, increasing the tempo 5km out from the bottom of the category two Reservoir Rd climb on which the peloton split. Gerrans has identified Sky leader Richie Porte as a favourite for tomorrow’s queen stage. Porte’s teammate Geraint Thomas, who went for but missed out on intermediate time bonuses today, is still focused on supporting the Australian despite being better placed on GC. “We saw the way he climbed up Corkscrew so he’s got the climbing legs. A stage win is definitely possible,” Thomas said. “Hopefully that can move him up into a podium position as well. Evans missed out on times bonuses in both intermediate sprints. An untimely mechanical, which delayed Thomas, took him out of the running at the second check. The penultimate stage tomorrow is a 151.5km run from McLaren Vale to Willunga Hill and features a hilltop finish.